Scranton Pennsylvania offers an amazing array of wedding venues, ceremony locations and portrait spots. For this wedding the couple were married at St Anthony of Padua Church which is located at 208 Smith St Dumore PA 18512. After the ceremony we went over to the Lake Scranton area which was a simply stunning wedding photography location. As a Scranton Wedding Photographer this has to be the ideal location for anything around Scranton. We started over by the pier with the bridal party and it was all laughs and smiles from there. We parked at Moosic St at Lake Scranton Rd. For this image the bride trusted me to go out on the pier and sit with her new husband! The view was spectacular and I wanted to capture all of the amazing Lake Scranton. We did a few variations from the pier but this one was one of my favorites. After we left the Lake Scranton pier we went back to this cool little walking path. The walking path provided a whole different feel to their images which is always nice to create a variety of images. 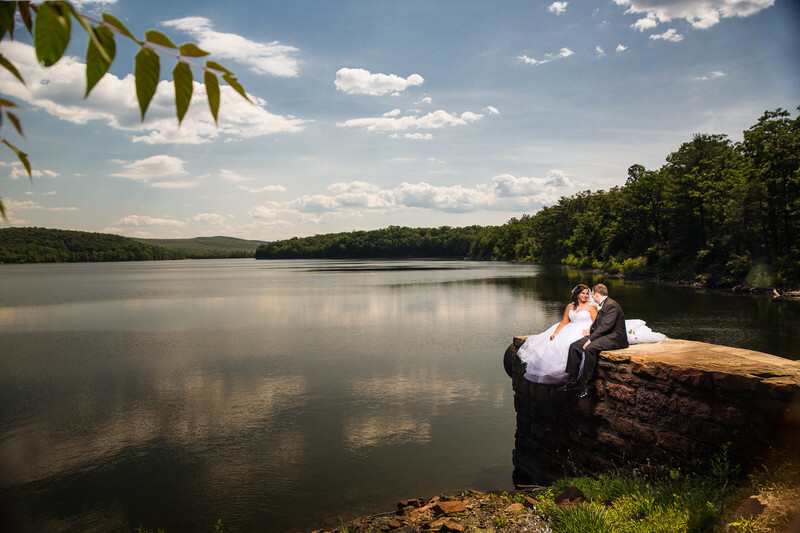 If you're getting married in Scranton Pennsylvania build the time in to your wedding photography so you can make the trip out to Lake Scranton. It's completely worth it!! Location: Moosic St at Lake Scranton Rd, Scranton PA.